What is Audible? How does it work? 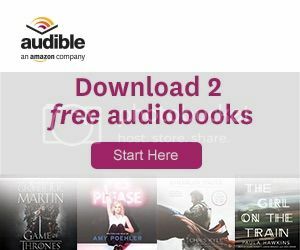 Audible is a paid monthly service that allows you access to over 180,000+ audiobooks at a highly discounted cost, which you can download right to your phone, tablet, or computer. How exactly does it work? Each month you’re given a single credit, which can then be used to buy any item in their catalog regardless of their respective cost, rating, or length. Does this mean every audiobook in their library is $15? Yes and no. The price you pay, if you use Audible’s monthly credit, would be $15, but one doesn’t need to use credits on purchases. One doesn’t even need an Audible subscription to make purchases, but a subscriber automatically gets 30% off their purchase. Audiobooks (both in a physical and digital format) range in price, the average being between $25-40, though they can far exceed that. Let’s take James Joyce’s classic Ulysses as an extreme example. This audiobook, as read by Jim Norton, would run a non-subscriber $104.99. Ridiculous, yes. As a subscriber, you automatically get a 30% discount, which knocks it down to $73.49 – which is frankly still a staggeringly stupid price. But hey, you could grab this for only a single Audible credit, worth the $15 monthly fee. If it’s imperative you have this book read aloud to you, this is clearly a steal. Again, this is an extreme example of an excellent deal made from an astoundingly pricey item. Not every sale will be this impressive, but you can bank that the average purchase made with an Audible credit is nearly half off what you would have originally paid. After three months, you receive the option to buy credits in bulk. Well, 3 credits. You actually save further here, as these are worth 20% less than your subscription credit. Here’s how that breaks down for an extra 3 credits. As I own a Gold Monthly plan the individual price for these credits would be $11.96 – and that’s totally worth it. You won’t believe how many times I’ve heard people say this. And you know what? They might be right. But generally this means that they aren’t willing to try it – that it’s beyond them. And honestly they’re doing themselves a disservice by not trying it. 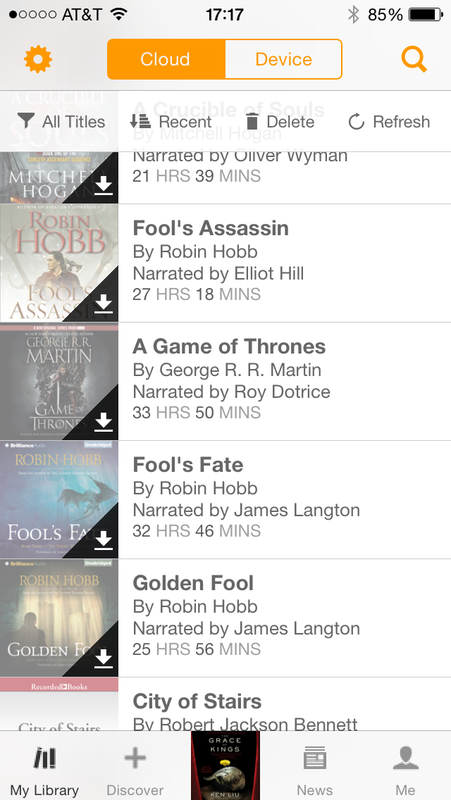 And what better test trial than with Audible’s new 2 free audiobook trial membership. If the first free audiobook doesn’t do it for you, chances are it isn’t for you, and you can easily cancel the membership before it renews. But I’ve seen so many people turn right around and actually really enjoy the medium. My wife was one of those naysayers, before I bade her give it a try. She’s currently listening to Brian Staveley’s fantasy epic The Providence of Fire while doing laundry and other things around the the house. Give it a shot. You might enjoy it. Chances are you read books a lot faster than it takes the narrator to read it to you. This is normal. The difference is that audiobooks can be read while doing other things. They can be read on the go, on the run, while you workout, around the house, as well as at your workplace (if your job permits it). If you’re the kind of person who needs to sit down, or lay down to enjoy a good story, this may not be what you’re looking for. Your average audiobook is a 15-20+ hour investment. I know if I was just sitting on the couch trying to listen to an audiobook, I’d doze off quickly, or lose focus of what’s being said. And this is coming from a guy who reads super slow. I physically could not read any faster than most audiobook narrators if I tried to. My job allows me to listen to audiobooks on the go. Long commutes, relative seclusion in the workplace, and an outdoor working environment makes Audible the ideal choice for entertaining my mind while busy. And this allows me plenty of time to enjoy books from my favorite authors so that I don’t have to go home to spend more time on the couch reading in my spare time. I do end up reading other books though, when I’m not listening to an audiobook. I’m generally able to listen to 2-3 audiobooks in the span it takes me to finish a regular book at my own pace, because of my hefty schedule. And that’s no small feat either. My genre of choice is fantasy (as you can probably tell from the picture above) and they’re typically 25-40+ hours in length, so the Audible credits generally go a long way. How’s the Audible App on mobile devices? It’s one of my favorite apps honestly. There are some functionality issues that could be tweaked in the future, such as better organizational methods for listed books on your library, and the ability to buy books from the app. It would also be nice if the app was more Goodreads friendly, and allowed you to view what percentage of the book you’ve completed. Other than that, all is smooth. Each of your books is forever in your library, ready to download straight from the cloud and onto your device. You don’t even need to let a book finish downloading before you can start listening. You have the option of downloading the book in sections to save yourself the space on your device, as well as the option to listen to your books at a faster pace to save yourself some highly valuable time. There’s also the whisper-sync feature, which is available for thousands of books. This allows one to also follow along with the eBook version of the book, and it will keep track of where you are on both formats. It’ll even turn the pages for you! 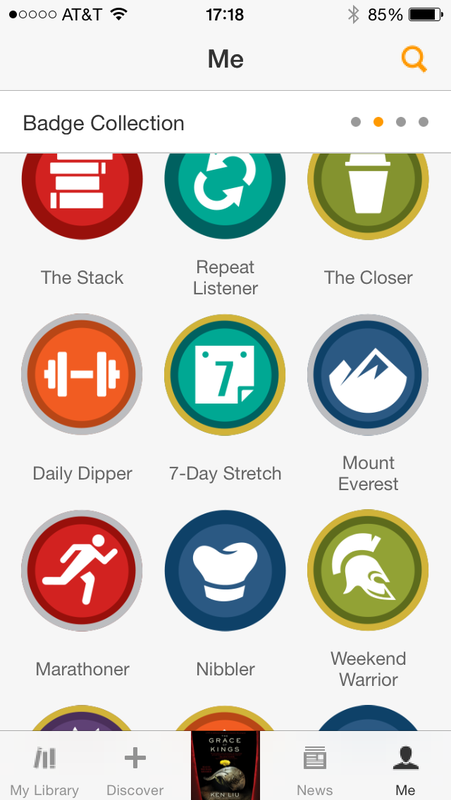 Another excellent feature is that it tracks your listening stats, and awards you in a stylized achievement page. If you’re curious about whether or not Audible is the right choice for you, I’d suggest you try it out for yourself. If you’re curious about which books I’d recommend, ask me in the comments below. Just know I generally lean towards the more adventurous and fantastical. But do try out the free trial now and make use of those two free audiobooks! So the fee that is charged is only for the service of being able to download books? Great article and good to hear everyone’s comments. Very helpful in deciding to try out Audible/ audio books. I’m an big book reader/fan but increasingly finding it hard to find the time – and the space for all my books. Only one way to fin out – try it as you say Geekritique. I’ve been a member of Audible for over 14 years and have loved it. HOWEVER, Audible recently “dumbed down” their software, replacing useful information in my Library - especially the column that provided information about whether or not I own the companion Kindle books, and whether a Kindle book is available for that book - with completely unnecessary big pictures of the books’ covers. As if we don’t know how to read a list of books and need a picture. What? Does Audible think its listeners are children? I am incredibly annoyed by the change as it affects one important way in which I decide where and when to listen to a particular book. I have contacted them in every way possible, and only receive vague responses. Amazon and Audible are supposed to be linked, but eliminating the Kindle Whispersync column in my personal Library is stupidest move ever. You can like or not the audiobooks, I tested the free trial and the quality and the app were just ok. My problem with them was THEY CHARGED ME 2 MONTHS AFTER FREE TRIAL CANCELLATION. I was very careful and I put an alarm on my phone to do the cancellation on time, I did it , even I received and email from them confirming the cancellation. Then 2 months later I discovered in my account a monthly charge from them… I contacted them immediately and they put a lot of excuses, like “we are different websites under the same umbrella”, “they cancellation was sent from our Australian website and the charge are from our US site”, …. Finally after 3 days, several emails and chats with them I got the money refund and a new cancellation email. How a company with Amazon’s support can do these things? Imagine if I do not check my bank account often… or how many people are in the same situation? There, books that are no longer in copyright are read by members of the public and are made available as free works. Pros: You can download all for free, with the free app, change the speed of the reader. Also many classics are available. Cons: Only older out of copyright books – so no recent ‘top ten’ books and sometimes the readers tones, accents or inflections can be annoying; however, there are sometimes multiple readers to choose from and listeners add ratings. I’ve been listening to some great horror classics by Lovecraft, some Sherlock Homes mysteries as well as other classics like the Therory of Relativity and some Buddhist readings. There are many different titles, genres and languages to choose from! I enjoyed your article! Audio books are the only way to drive to and from work in busy traffic. Good bye road rage! I am French, I m using audible. I only listen to English audio book. It s a perfect way for me to improve my English. I sometimes listening and reading at the same time and I maked great progress. The audio sometimes gives an other perspective of the book. The characters can take live , but it really depends on the voice performer. A bad one can ruin the story. Also I find the audio books expensive. I really appreciate your article. I’m an audiobook addict. I also love physical books, but there’s not enough time in the day to sit down with one. And my eyes need a break after working a full day in front of a computer. I’m actually more productive when listening to a book, b/c I want to keep listening – I walk my dog farther, don’t mind dusting as much, etc. I get everything I can from the library, via OverDrive, but they are so limited as to what they have in audiobook format. I’ve been on the fence for over a year, but after reading this, I’m going to give Audible a try. How do you listen to audiobooks from the library? I “audioread” at least two books a week. I use Overdrive and simply borrow books free from a library source. The only advantage to Audible is that I would own a book I probably will never re read. Are there more choices than the library provides ? It’s the largest library of audiobooks in the world. Probably more audiobooks than the average library has books. Just had by Gold Membership lapse as I had a credit card compromised and did not update it. Apparently they deleted all my accumulated credits and I can use them unless I re enroll by purchasing another month. Pretty shady practice. Effectively they stole credits that I had paid for. So, do you OWN the audiobooks? Or is it more rental/borrowing kind of service? Thats the part I’m unclear on, and is the breaking point for me. If its ownership, its worth it. I listen to audiobooks at 1.5 speed at work and during my long commute, so i can get through 20+ audiobooks a month and Audible has such an awesome selection that surpasses the two libraries I use. But just to get one a month to borrow…. thats not worth a $15 charge for me. 100% ownership. Even if you end your subscription, the audiobooks remain on your phone through the app. You know I’m kind of jealous in a way for people who can do audio. Because it would be cool when I’m doing a long drive to get to pop a book in and listen as I go. But I’m one of those that just can’t pay attention. Me and the hubby was on a road trip, and he likes audio, and he put one in and I just fell asleep. Even when I was awake though I’d zone out. You know like when they ask you what way do you learn best, audio, visual, or something else. It’s all visual for me. I can barely follow folks in a conversation, which is probably why I like the internet so much. It’s mostly reading. If it wasn’t for Podcasts, I’d listen to more audiobooks. As it is I do subscribe, but often let my credits rack up without redeeming them, although I usually do in on ebig splurge. Man, I had no idea. I’ve gotta get on that! I love books, but my schedule doesn’t permit much time to read. It’s ridiculous! Audible has actually been a life saver, because I can listen while I’m doing other stuff. I also check a lot of audio books out of the public library, so I’m never at a loss for a good story. Looking to use Audiable for the projects that I am currently on in Latin America, specifically changing culture in organizations aligning teams with values, vision and mission and also using gamification. I tried audible, but my device didn’t support the format, so I switched to mp3s. I’ve built a huge audiobook library (~400 total), mostly in the sci-fi/fantasy genres. It’s now hard for me to go back to paper books. Like you, I listen to books a lot while commuting or doing chores around the house, and it’s been fantastic. To your point about speed, most audiobook readers are far too slow for my taste, but since I use the mp3 format rather than Audible, I just use a freeware sound editor to speed up the books before I load them up. Very nice. 400! Wow, that’s quite impressive. Anything good recently? It’s not for everyone. I’m a bit strange. I will never be a kindle/ebook reader. Just can’t do it. I prefer to own the book because I love the way it looks/feels on my shelf and when I do read it. That’s the only thing I can’t enjoy with Audible. You still have to buy the book for your collection, if you really love it. Great article! I love Audible, but it did take me some getting used to for the same reasons you listed above, lack of concentration, too slow… I listen to about 1-2 books a week depending on my schedule. I have grown to really appreciate audible’s app while I workout, driving and all the other times when holding a book is not possible. Thanks so much. That’s an impressive amount of listening! I’m with you. I’m a dedicated member. With whispering you can sometimes get a great deal on the kindle version and pick up the audible for 3.99 or less. It’s not a guarantee but definitely something to look at and makes the audible membership frugal in another light. It sounds a bit like Netflix, and that’s worked well for me. I remember this one time I listened to the audiobook of The Hitchhiker’s Guide to the Galaxy, and completed it in about a day because of how leisurely the format is (and Stephen Fry plus Douglas Adams). Audiobooks have always been something that’s interested me and is definitely a medium I’ve been thinking about engaging. For me, the deciding factor would be whether I’d use it to find new books or to accompany books I was already reading. If I used it, it’d be a good way to experience books that are in franchises. There are so many Star Wars books that I’ve been told I should read, and a lot of Doctor Who novels I’ve always wanted to read. So the format would make getting through these much more convenient. Especially sci-fi, which can conjure up really magical images that’d be really fitting for my reading habits which are often late at night. But this has definitely made me think about it more seriously. Glad to be of some help. I love the program and think it’s great as both a tool to gauge other stuff you might be interested in, and series in the long run. There’s little more satisfying than hearing the same narrator give unique voices to characters you know and love book after book.